Christopher Columbus had it wrong. No, not about the enslavement of various indigenous people. Oh wait, he had that wrong too. But the bigger wrong was his whole claim of living in a perfectly spherical world that someone could sail all the way around. It's obvious to anyone who has ever looked at a map, this is wrong. The world is two dimensional. The world is flat. Not only can you not sail around it, you can't fly, motor scooter, segway or tricycle around the whole thing. Were you to even attempt that, you'd end up victim of a sea monster death as you pedaled off the side of the world. 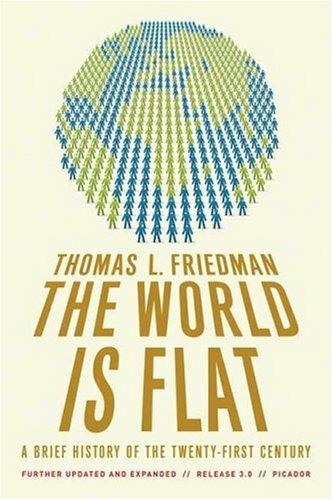 But why have so many subscribed to this myth of a round world? Two words for you—globe makers. They know if their horrible secret ever comes to the surface, they are out of the business. Suddenly their lucrative basketball-transforming business is usurped by their 2D enemies. And this is something the Global Globe Conspiracy Conglomerate will not stand for. 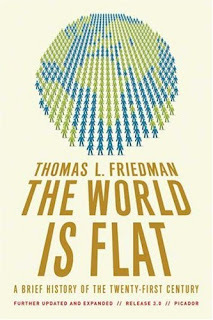 Every step of the way, the Global Globe Conspiracy Conglomerate has put down all theories of flat world. When REM recorded the top 10 hit “End of the World,” they originally planned on using it as a platform to get the truth out there. Analysis of the original lyrics reveal that the megaband originally planned on revealing the truth about the edge of the world. Sure, the refrain was exactly the same, because it just talked about the “end of the world,” but Michael Stipe's intonation was totally different. Especially the part about Leo-nard Bern-stein. However, the conglomerate wouldn't allow this to occur. They made the inflections change and blocked society's first insight into the actual shape of the planet. Normally this wouldn't be too large of an issue, because conglomerates lie to us all the time. But with 2012 knocking at our door, I suddenly realize how the world will end. It won't be Ragnarök, nor an evil space meteor, nor the rise in popularity of “Jersey Shore.” Nope, it will most certainly be falling off the edge of the world. But don't worry, having the entirety of existence collapsing amongst itself and being devoured by something that should have technically collapsed with the rest of existence isn't as bad as it sounds. Paradoxical, yes. Bad, not really. There are ways we can survive through this. We could always make the world a round place. I have quite the experience with balloons, and I know when they come to you, they're rather flat, or “two dimensional.” However, with a little bit of helium, these bad boys inflate to comparatively gargantuan proportions. If we just unleash oodles of helium into the atmosphere, suddenly the world will “balloon” up, and sea monsters will disapate. as they do on the cover. However, there will be a ton of helium in the air, and everyone will talk like some stereotypical cartoon character. Obviously that will not do. Anyone who has played the early 90s game “Lemmings” knows how this works. One “lemming” will wander off the edge and die, yet the others will not be dissuaded from following suit and plummeting to the death. In this metaphor, the “lemmings” are actually “countries.” That's right, entire bodies of land will wander off the edge of the world to be eaten by unholy sea monsters. That is, of course, unless some sort of Bulgaria or Vatican City steps up as a blocking lemming. Then everyone can live happily ever after. So when that clock strikes 2012 in a couple days, you really don't need to worry. 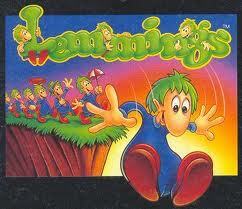 The Mayans might have predicted the world would soon end, but “Lemmings” had not yet been invented. They did not know humanity would figure out a way to circumvent impending doom.